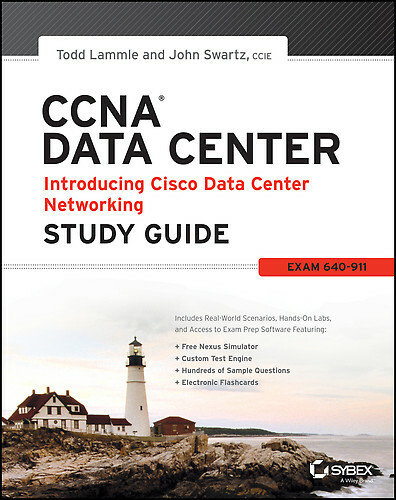 We are at the last chapters of the CCNA Data Center 640-911 by Todd Lammle. Chapter 12 talks about redundant switched technologies and chapter 13 talks about security. Just like before I will go over the high-points, so let’s get started! Chapter 13 Overview: In the last chapter of 640-911 book we get introduced to access-control-lists and the types of access-lists that the NX-OS supports, know the difference as well as configuring a standard access list and extended access list also be sure to understand the implicit deny statement at end of every access-list. I would also know how wildcard masking works, (flip the subnet mask). A couple more things I thought would be important to keep an eye out is understand that once an access-list is created that does not mean its active, make you sure to understand how to apply the ACL on an interface. Finally know your show commands for access-lists, like show access-list and show access-list summary. Overall thoughts: So thanks for checking out these posts about the 640-911 exam, I hope this give you an idea of what to expect on the exam and good luck, if you decide to take it. Personally I am shooting for May/June timeframe to pass at least the 640-911. I thought this book was helpful but if you went and passed the CCNA or even CCNP it does get a little dry in areas. This exam is introductory but required if you wanted to achieve the CCNA Data Center certification. Remember you need to pass two exams 640-911 and the 640-916 to become CCNA Data Center certified. A little off topic but interesting to note is as of this writing Todd Lammle is the only author that has published a study guide for the CCNA Data Center, a quick check on Amazon shows that Cisco Press is ready to roll out an official certification guide for the 640-911 in the end of August authored by a Wendell Odom, followed by the 640-916 in January of 2015. I’ll end it here, I hope this information is helpful and comment below if you have any questions on these chapters.